In the article below from the New York Times, Robert Faturechi of the public interest newsroom ProPublica makes the important point that journalists need to be more skeptical of experts and check out any conflicts of interest before accepting their views as impartial. Lack of such skepticism is a problem that’s especially rife in the GMO field. Recent examples are reports from Al Jazeera, which in the past has gained a good reputation for balance but which recently has shamed itself by publishing uncritically pro-GMO articles. One Al Jazeera article hypes the supposed success of GM Bt brinjal (eggplant) in Bangladesh without addressing reports from within the country that the crop has suffered widespread failure. The second Al Jazeera article repeats the meme that people who oppose GM crops are anti-science. 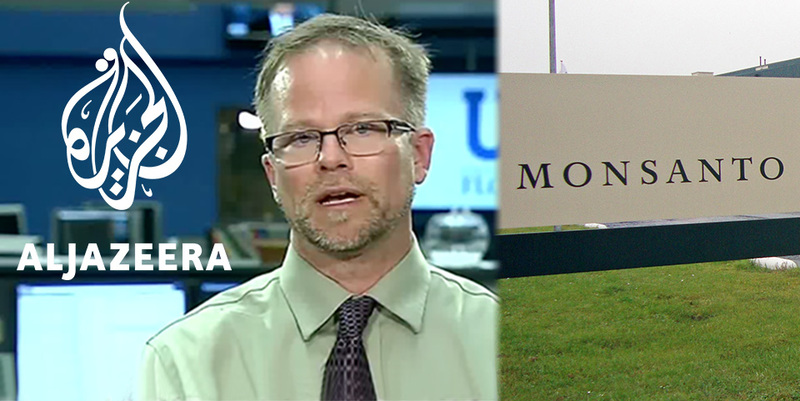 The article appears to include Kevin Folta as one of the “independent scientists” of the subtitle, who are supposedly holding the fort of science against the onslaught of ignorance from the anti-GMO “mob”. The article allows Folta to describe himself as “non-affiliated with industry” and quotes him as stating, “I'm no big corporate friend. I look at the data, and we make the decisions. We try to distill, for the public, what does the science tell us? Frequently it tells them a story they don't want to hear." One might be forgiven for thinking that far from telling the public an uncomfortable truth that they don’t want to hear, Folta specialises in telling the public what Monsanto wants them to hear. Just how Al Jazeera missed the Folta scandal is hard to understand, as it even made it onto the front page of the New York Times, as well as being all over social media for months. When South Carolina legislators were considering whether to require fire sprinklers in all new homes, the mandate’s opponents pointed to a damning study: A researcher at one of the state’s top universities predicted that 17,000 families would be priced out of the housing market if the rule were adopted. The stat helped sink a safety measure believed to drastically reduce home fire deaths. But the regulation’s opponents frequently left out a crucial fact. As we at ProPublica learned through public records requests and other reporting, the academic who came up with the stat was “a member and ardent supporter” of the homebuilders trade association, the powerful lobby that was fighting the regulation. He also helped run a marketing firm that does work for homebuilder groups. Had lawmakers and other state officials known about that conflict, they may have dismissed his research. They may have given it less weight. Or, they may have embraced it just as enthusiastically. Either way, they would have been better equipped to make an informed decision. Robert Faturechi is a reporter with ProPublica, where he covers campaign finance, lobbying and politics.